Bring us a drawing, a picture or even a scribble on a napkin and we will bring your idea to life. If you are not sure of what you need let us help you design it for you. 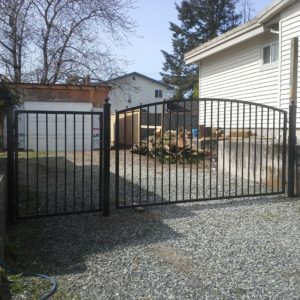 We have over 15 years of fabrication experience in various fields of steel fabrication such as heavy equipment, structural steel, ornamental ironworks, architectural and miscellaneous custom metal work like railings, driveway gates, custom trailers and more. Not sure if we can build it? Just ask us. Our mobile welding unit is a fully equipped trailer capable of multiple welding processes such as Mig, FCAW, SMAW, and Air/Arc gouging for removing old weld material and for preparing proper weld joints to CSA standards to ensure weld quality. We can perform these processes up 200 feet away from the mobile unit. 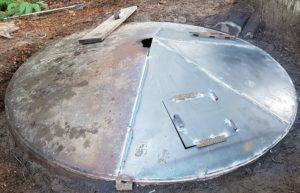 We can also do extensive on site fabrication work from this unit because we also have fabrication tools and equipment on board that you would find in most small fabrication shops making it a mobile welding shop rather than just a welding truck. Whatever your welding repair needs are, Eddy's Mobile Welding & Fabrication has got you covered. We do all your small welding repair work at our shop. So bring us your rusty trailer, broken equipment or even your favorite chair and we will have it fixed in no time. 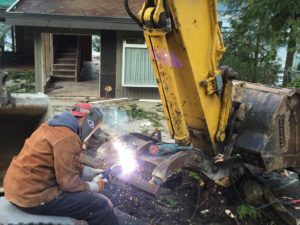 For repairs to heavy equipment, structural steel, machinery or anything else that cannot be moved or is to costly and inconvenient to move we will come to you. Our mobile unit is equipped with stick welding for steel and portable MIG for aluminum and steel. Our processes also include Portable plasma cutting, torch cutting, air arc gouging and compressed air. 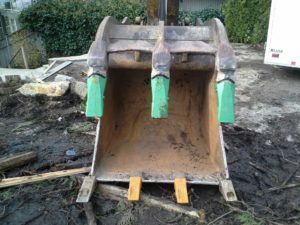 Eddy's Mobile Welding & Fabrication can repair or replace all broken and worn parts of your heavy equipment attachments, buckets, thumbs, grapples, blades and much more. We also do hard surfacing, and repair cracks. Need a repair done on material handling equipment, low bed or dump truck? we can help you there too! Metaltropolis Supply, Western Gasco, LGI Industrial & Construction Supply , ONO Work and Safety . Eddy's Mobile Welding & Fabrication 604-530-2938, 2015, All Rights Reserved.